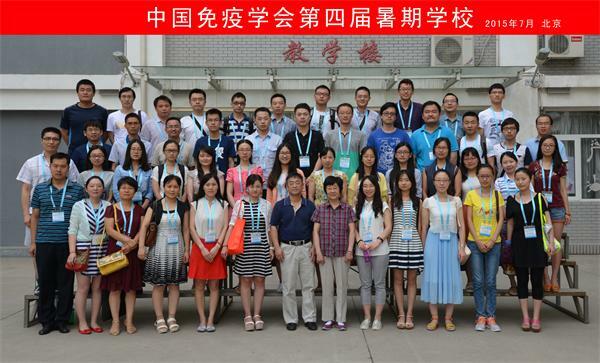 Summer School 2015 of CSI was held 3-12 July, 2015 in Nursing College, Peking Union Medical College, Beijing. The topic of this school is tumor immunology. 54 doctoral students from all regions of China and young teachers from western universities, recommended by the Executive Council members of CSI, have attended this school. They were from different universities and research institutes of more than 20 provinces of China, covering various immunological areas of basic research, clinic medicine and biology technique. 16 leading immunologists, including professor Zhigang Tian, President of CSI, were invited to give their remarkable lessons around the topic of tumor immunology. As tradition, the summer school is funded by CSI, including registration fee, board and lodgings.